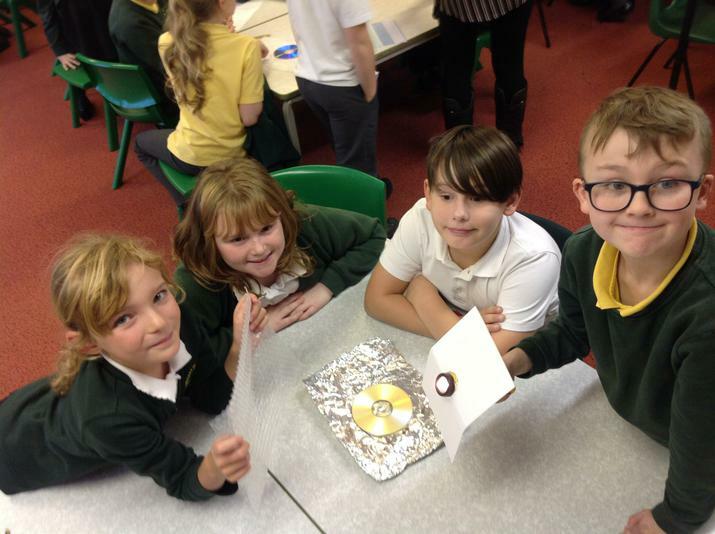 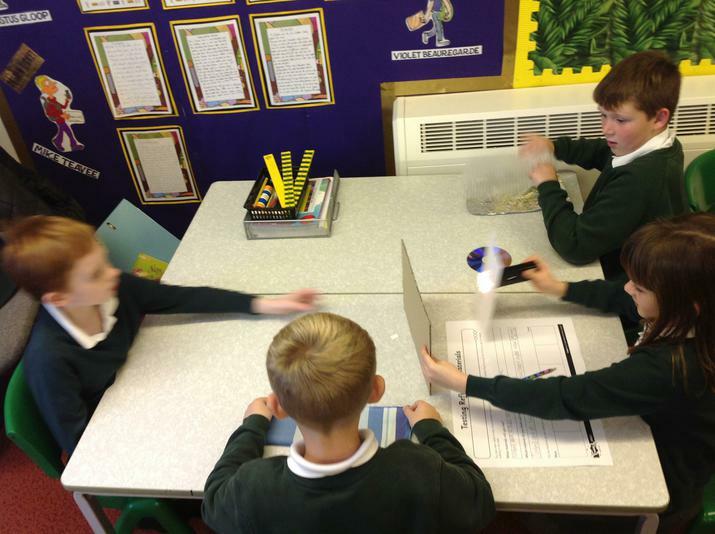 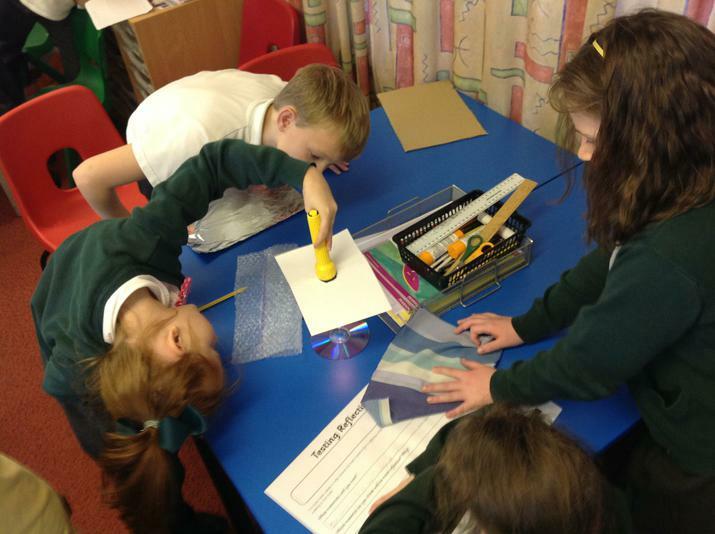 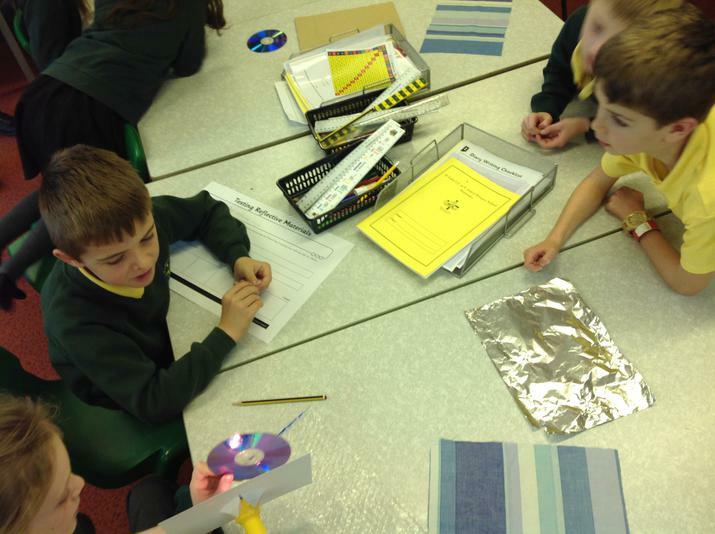 In Science this week we investigated reflection and reflective materials. 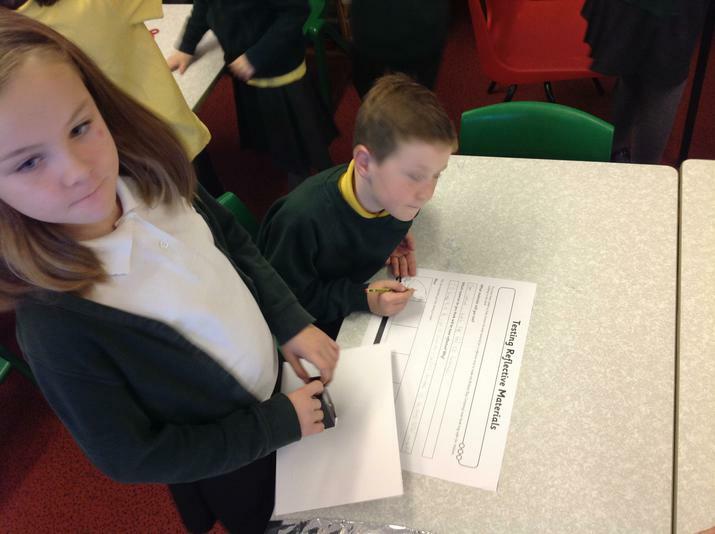 The "Brilliant Bags Company" challenged us to find the best material to use on a new book bag. 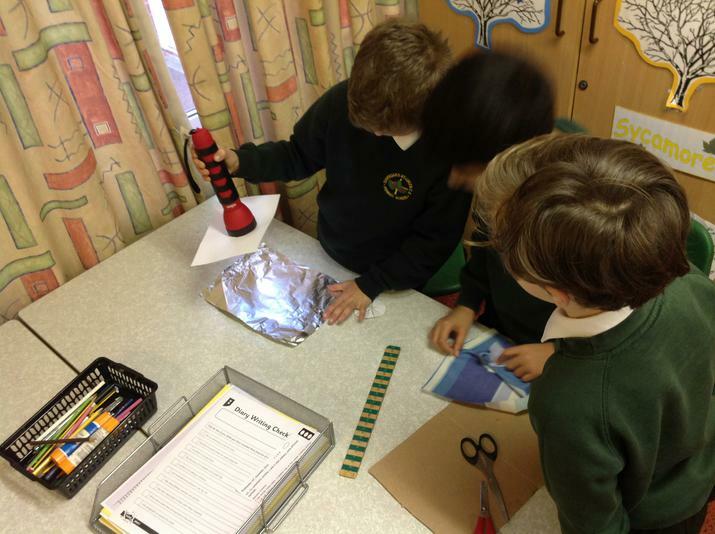 We worked in small groups to test a range of materials and order them from the least reflective to the most reflective.